This little, lively, adorable dog belongs to one of my friends. The smiles of a mother and her piglet. 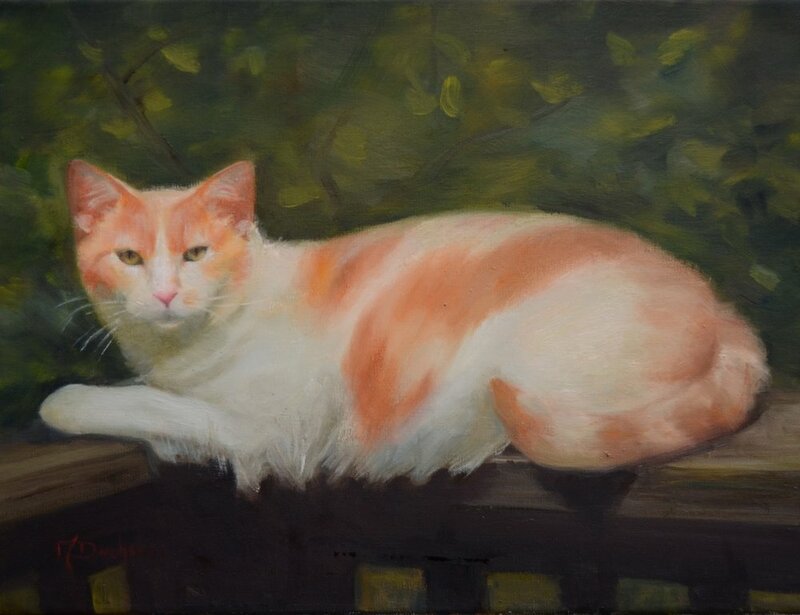 A portrait of my beloved cat, who had a very strong personality. I find true inspiration when watching and feeding the chipmunks as they run about. I was inspired by the way these three geese looked as though they were gossiping or even conspiring. I love to observe what is going on in the garden, the activity of squirrels in particular. This little dog was the guardian of her owner’s gallery. 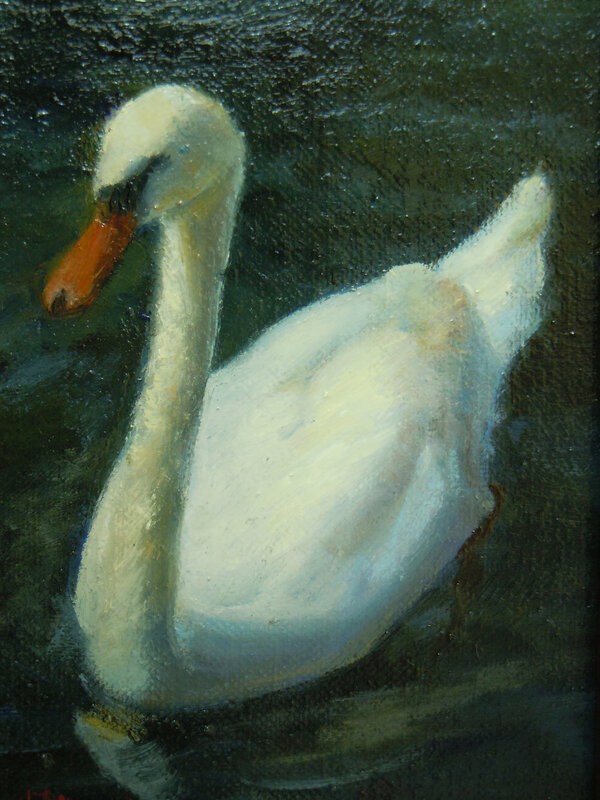 Swans are one of the most beautiful birds we get to share the Earth with. 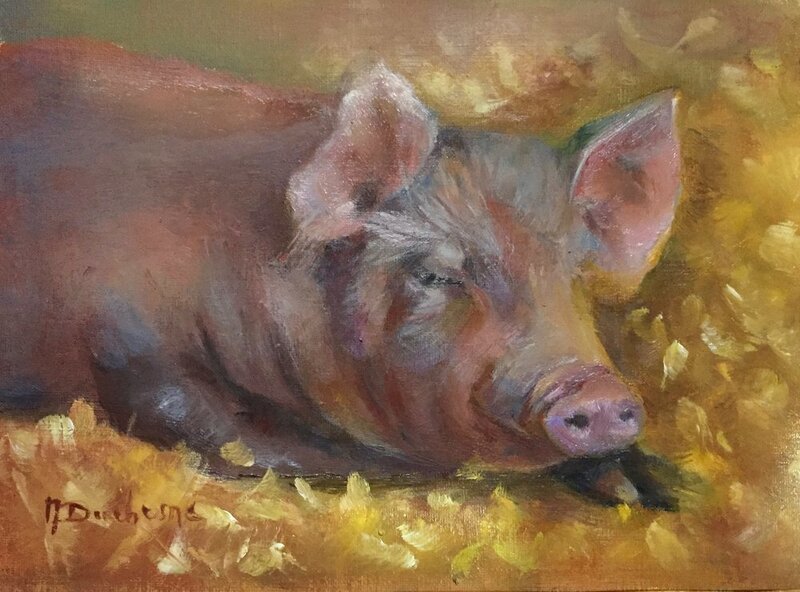 A simply baby pig, happily sleeping the day away. 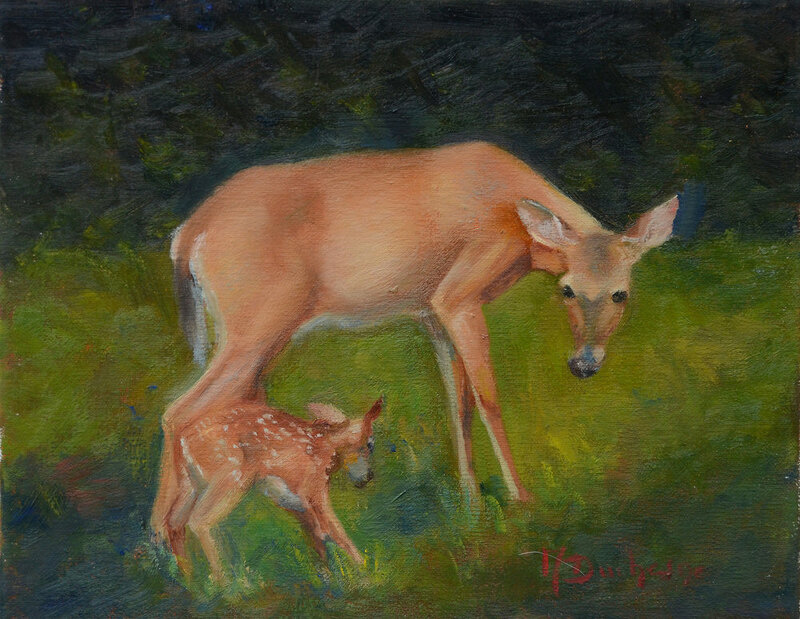 I was moved to create this piece by the love this mother expresses toward her fawn. As an artist, I’m always observing the subjects of my work and the world around me. One day, in a barn, I found this little sparrow who appeared to be observing me right back. Passing through the country I came across these three sheep and simply loved their composition. I found these two on a very hot day, and this mother piglet pair were just so happy to be taking a bath.